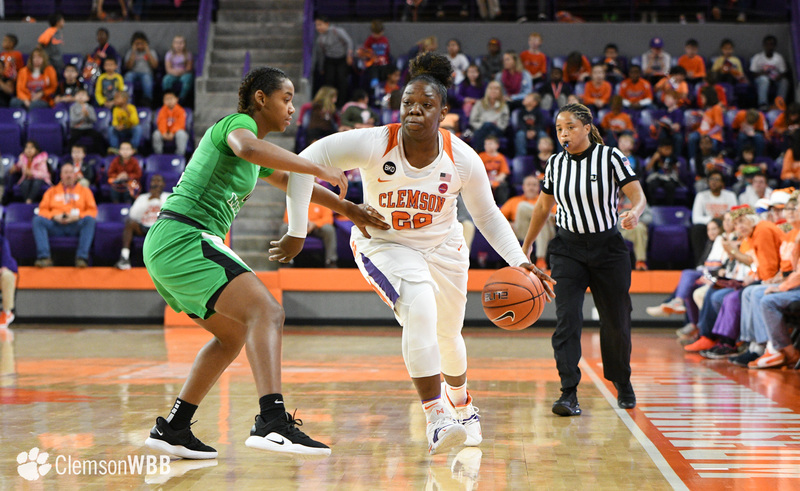 CLEMSON, S.C. — Coming off their first home loss of the season, the Clemson Tigers (8-4) put together a clutch performance down the stretch to defeat the Marshall Thundering Herd (5-6), 68-54, at Littlejohn Coliseum on Tuesday. 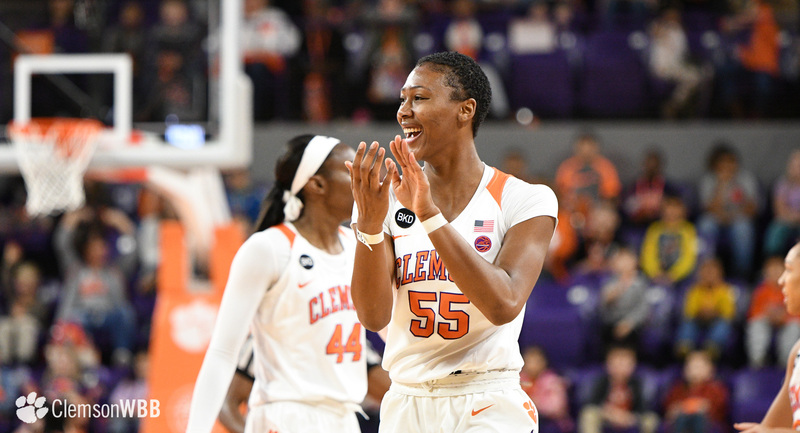 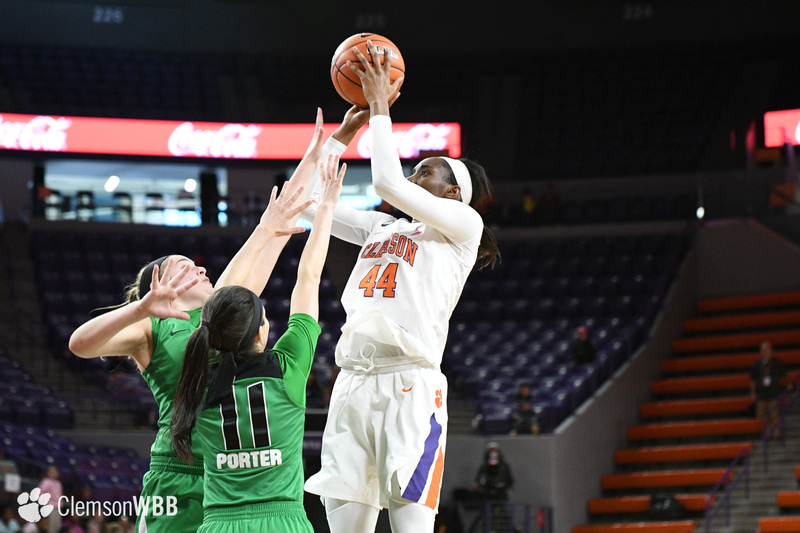 Outscoring Marshall by 14 points in the fourth quarter, Clemson pulled away via a 17-2 run during the final 7:23 of the contest to secure the victory. 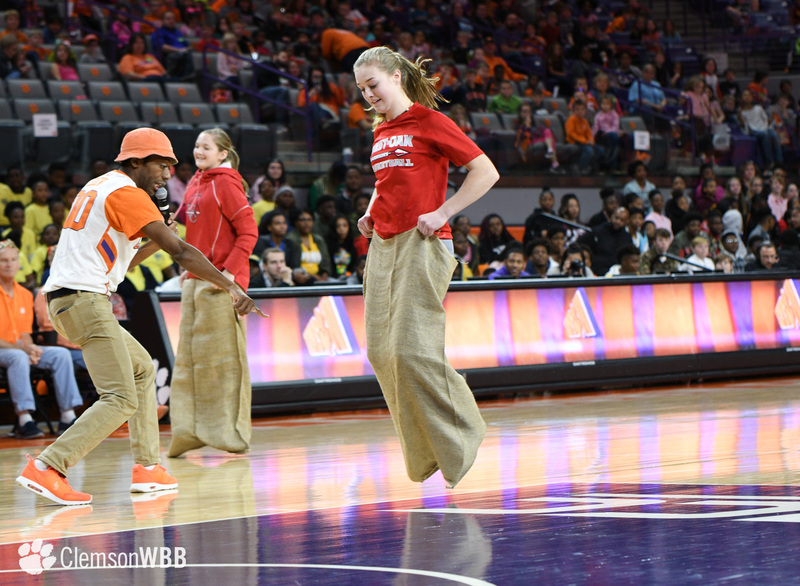 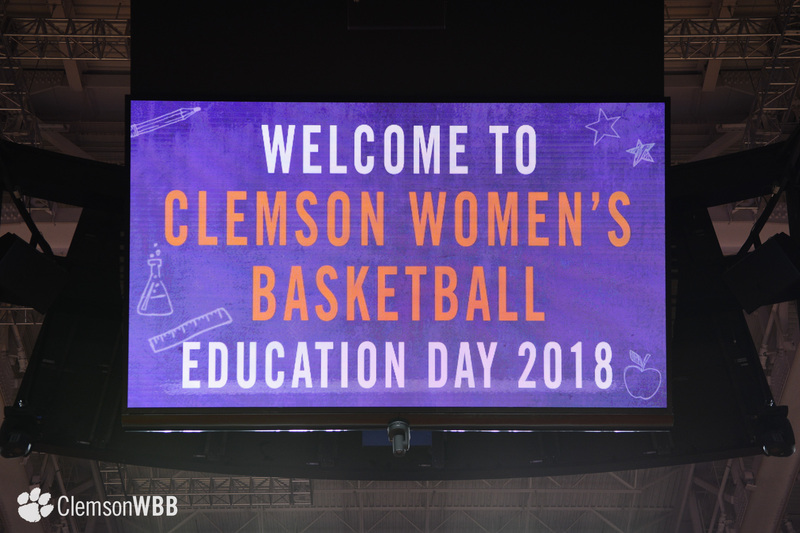 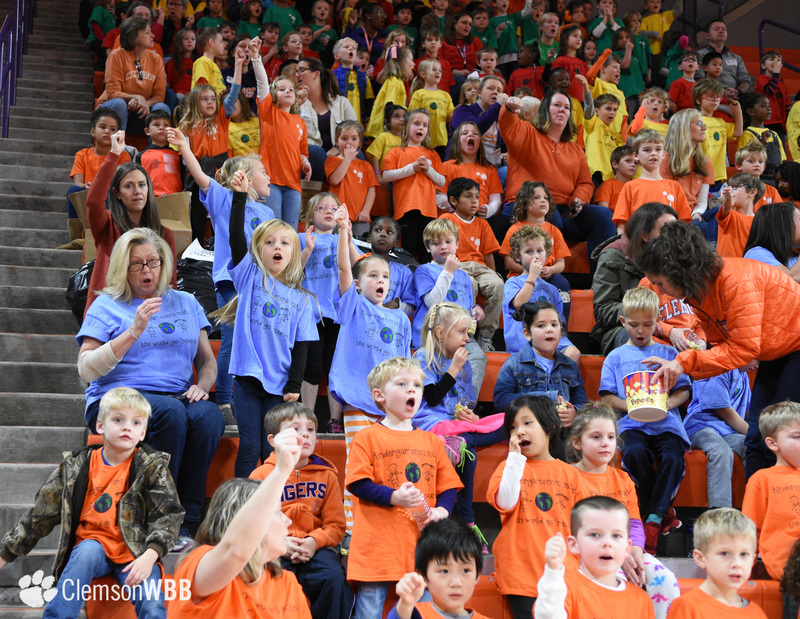 The Tigers welcomed 3,267 fans to Littlejohn Coliseum for Education Day, the largest home crowd since 2004. 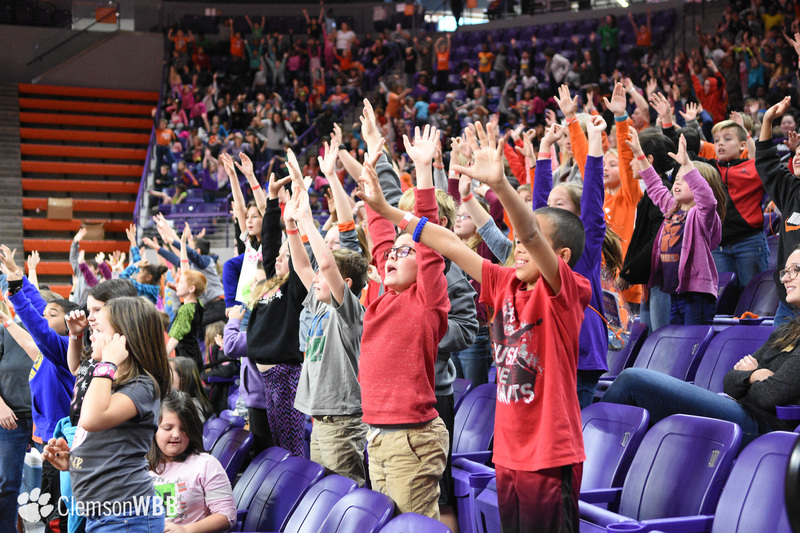 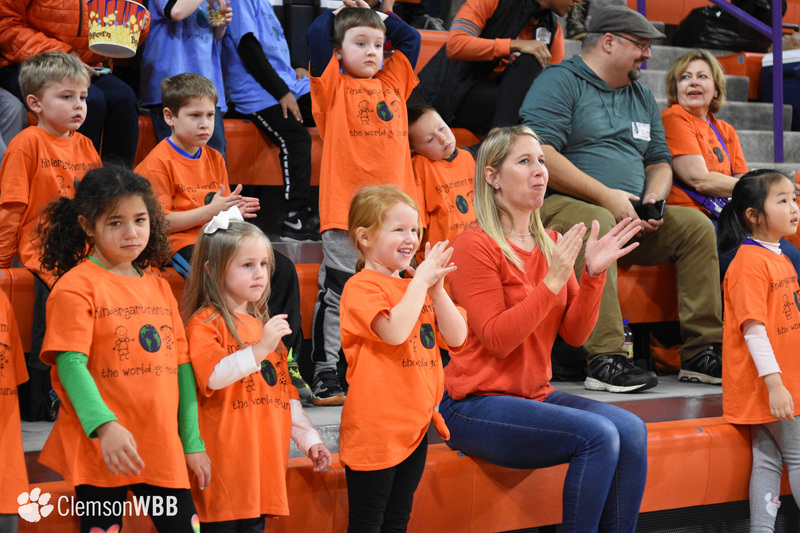 It was an afternoon full of fun and learning as youth motivational speaker Corey Jones entertained the students in the crowd with games and educational stations throughout the game. 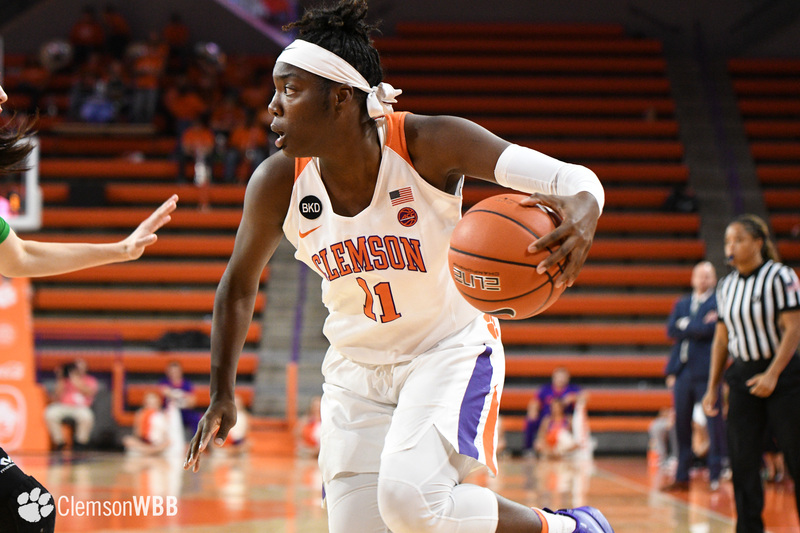 Junior Kobi Thornton led the charge for the Tigers scoring in double figures for the 11th time this season. 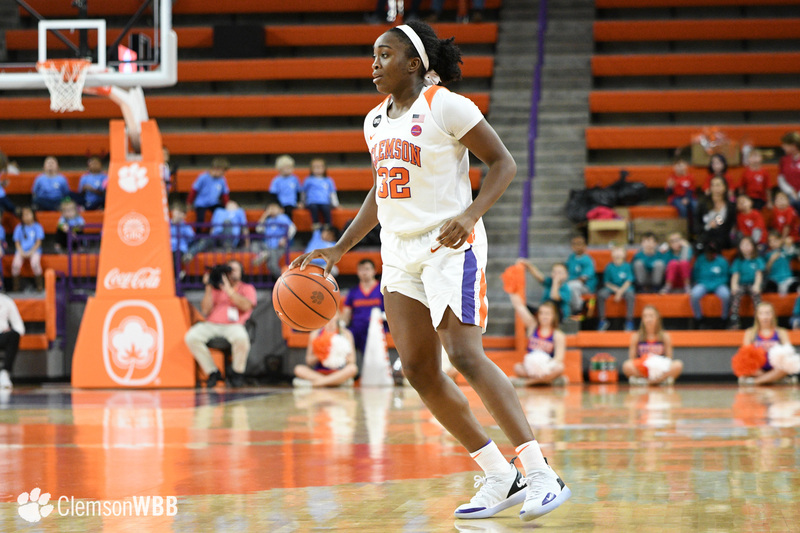 In addition to pacing the Tigers with 18 points, Thornton corralled eight rebounds and tallied two steals in the game. 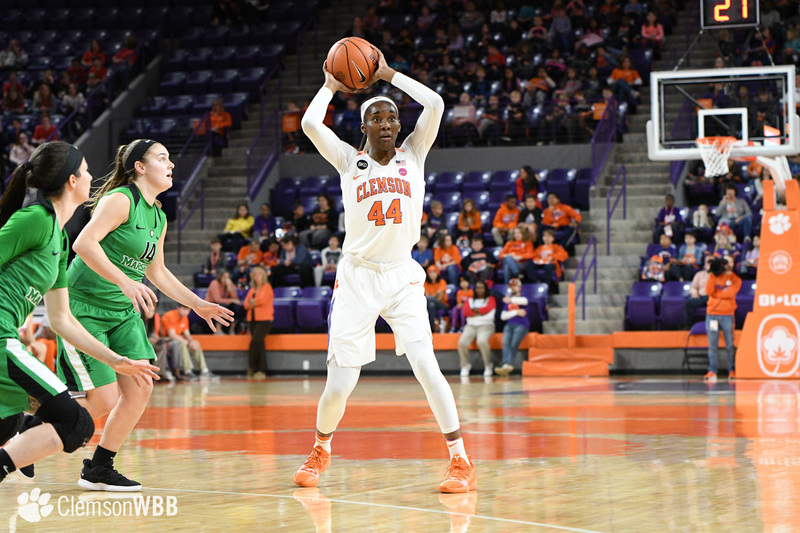 Senior Danielle Edwards also performed at a high level, pouring in 15 points and dishing out four assists. 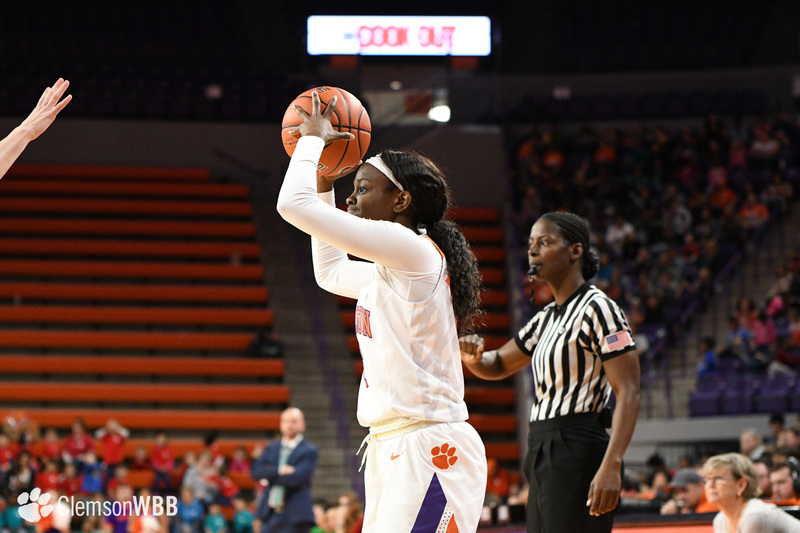 Sophomore Tylar Bennett led all players with 10 boards, while adding eight points to her stat line. 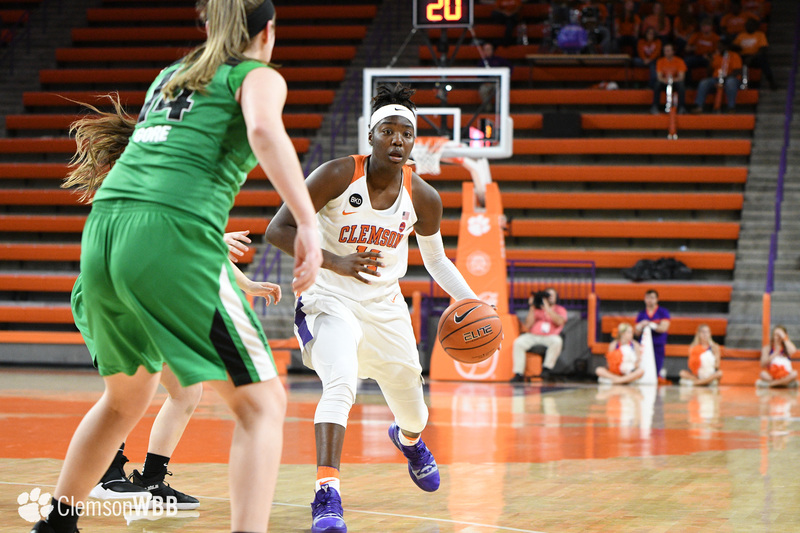 Clemson put forth a solid defensive showing in a hotly contested matchup, garnering 27 points off 25 forced turnovers. 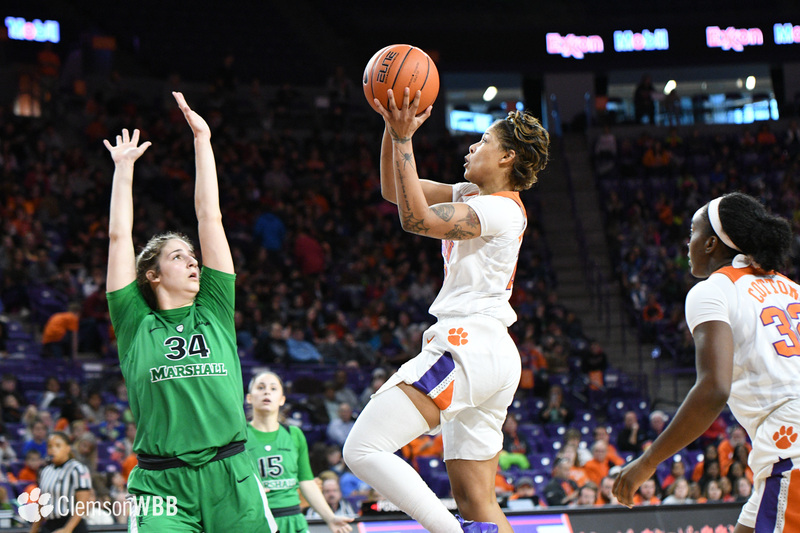 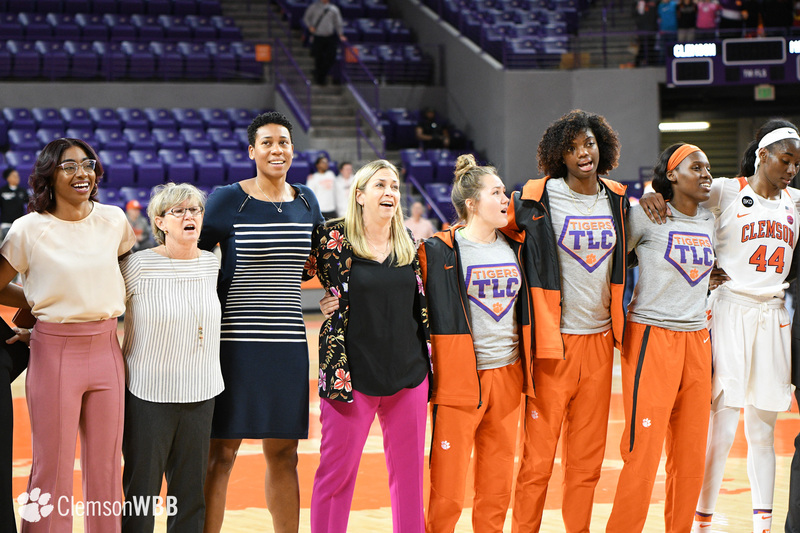 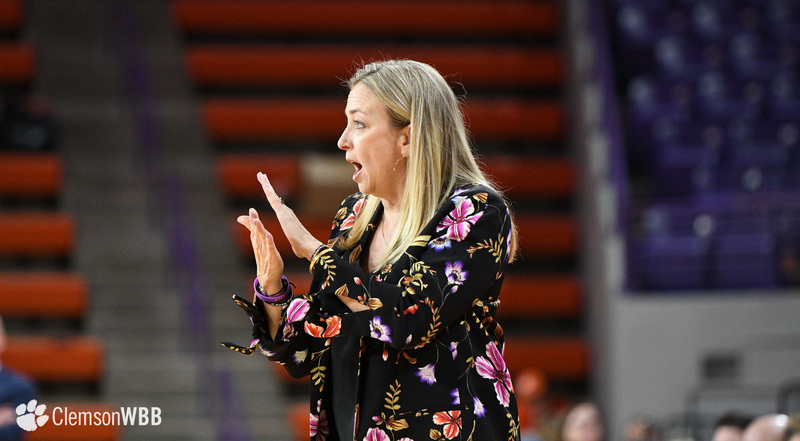 Shooting 16-of-19 at the charity stripe, the Tigers made the most of their free-throw opportunities and were able to stave off a Marshall squad that shot 40 percent from the field. 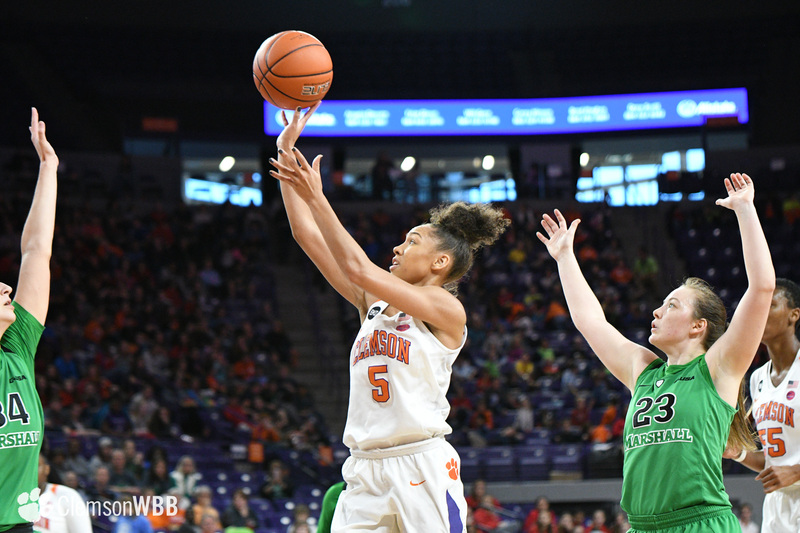 The Thundering Herd led 29-28 at the intermission following a hard-fought first half. 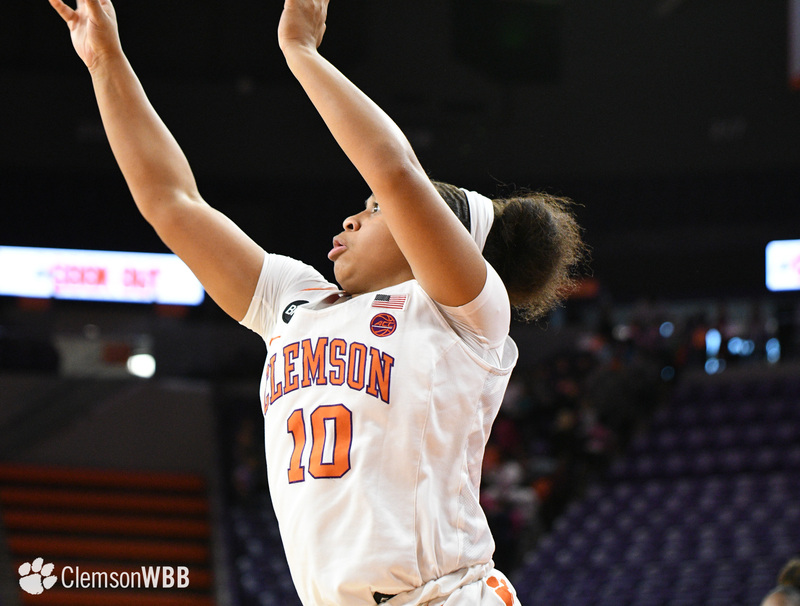 Clemson guard Camreé Clegg knocked down a couple of deep balls in the opening half to pace the Tigers. 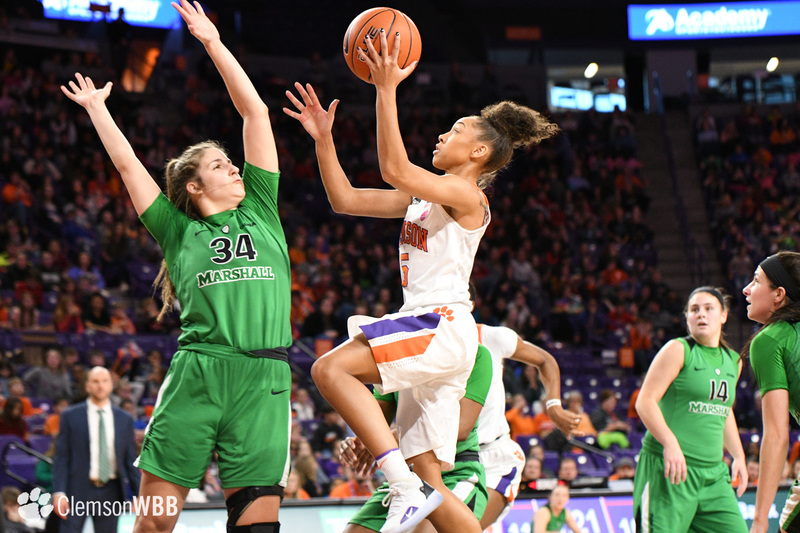 After three quarters of action, the game was deadlocked at 47-47 thanks to a buzzer-beater floater by Marshall guard Taylor Porter as time expired in the third. 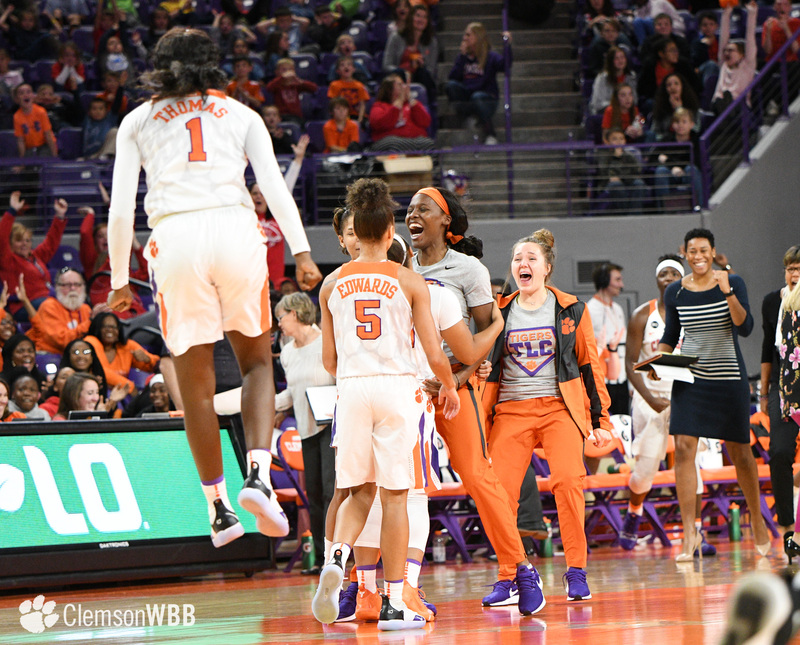 An impressive block by guard Destiny Thomas at the 6:08 mark in the fourth ignited the Clemson offense and the Tigers proceeded to go on an 8-0 run to take a 60-52 lead with just under five minutes to play. 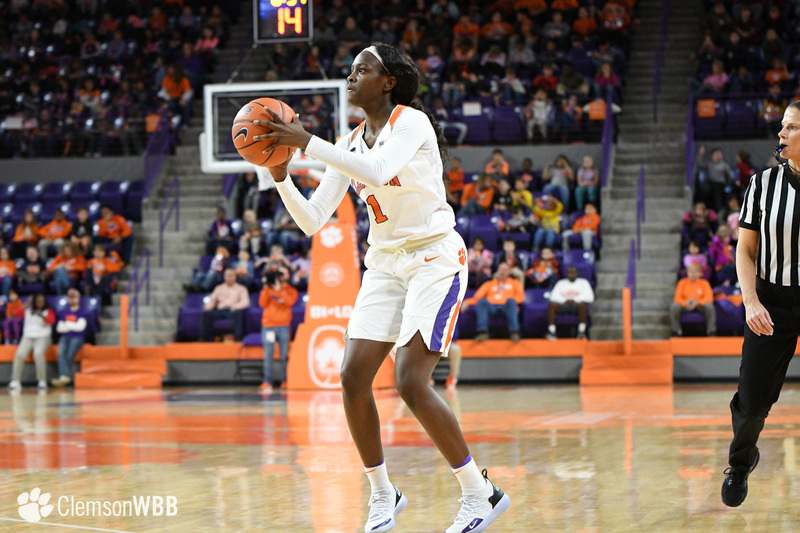 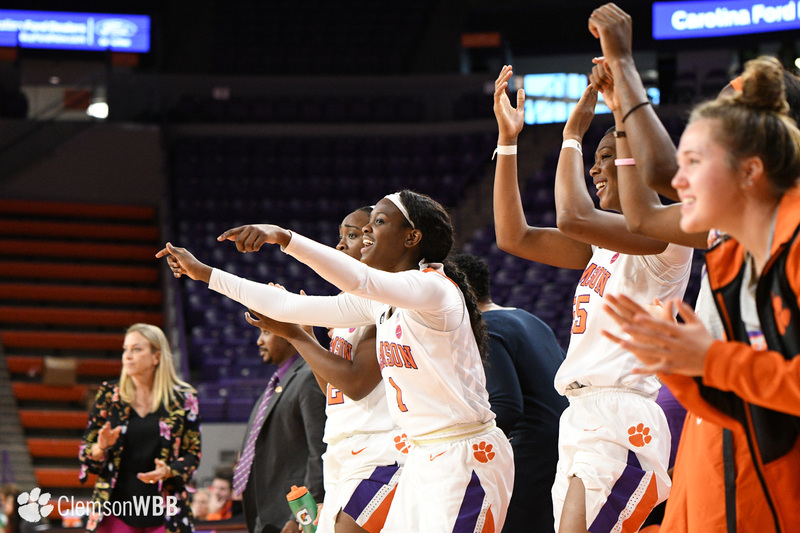 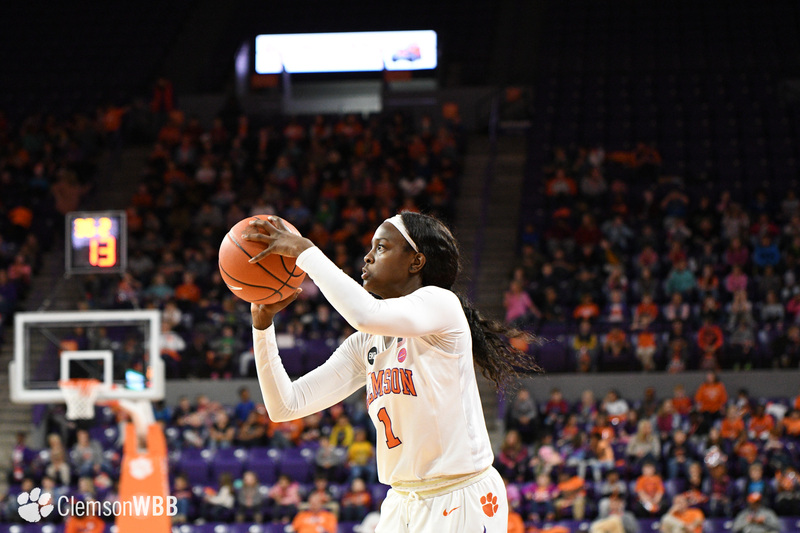 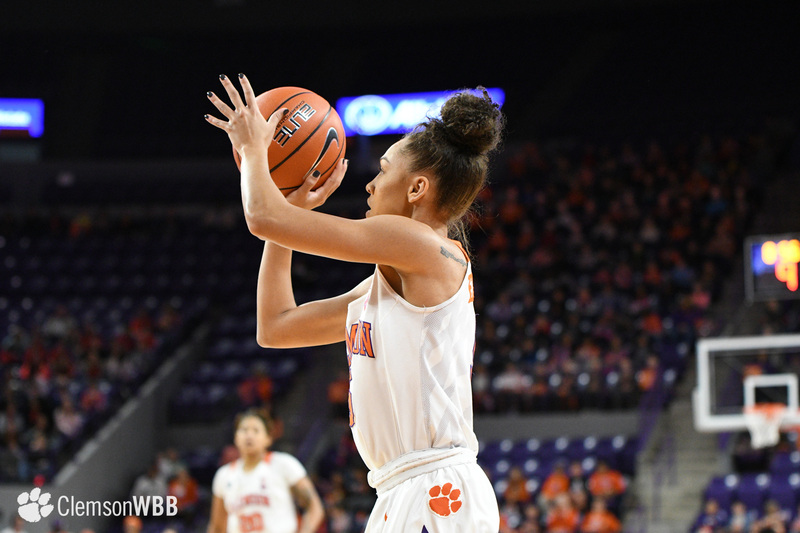 Just a few minutes later, Edwards poured in a crucial three-ball to increase Clemson’s lead to nine. 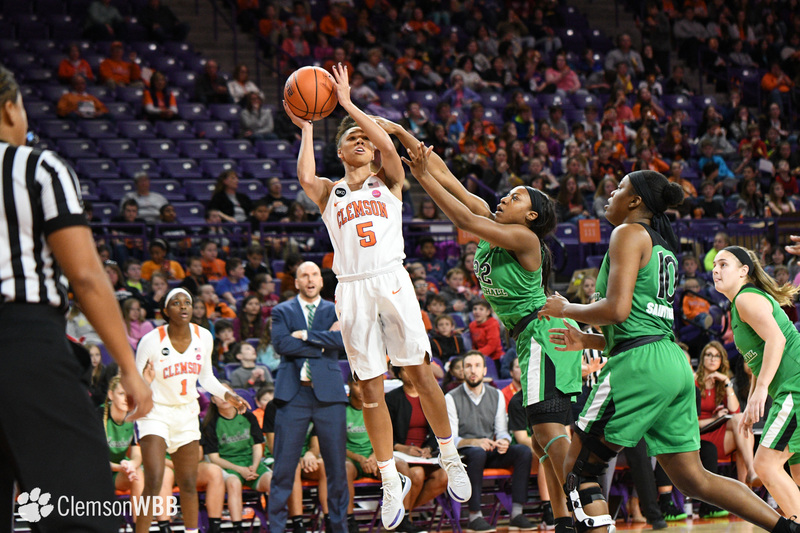 The Tigers strung together their second 8-0 run of the final period over the last 3:16 of the game and pulled away from the Thundering Herd for the 68-54 triumph. 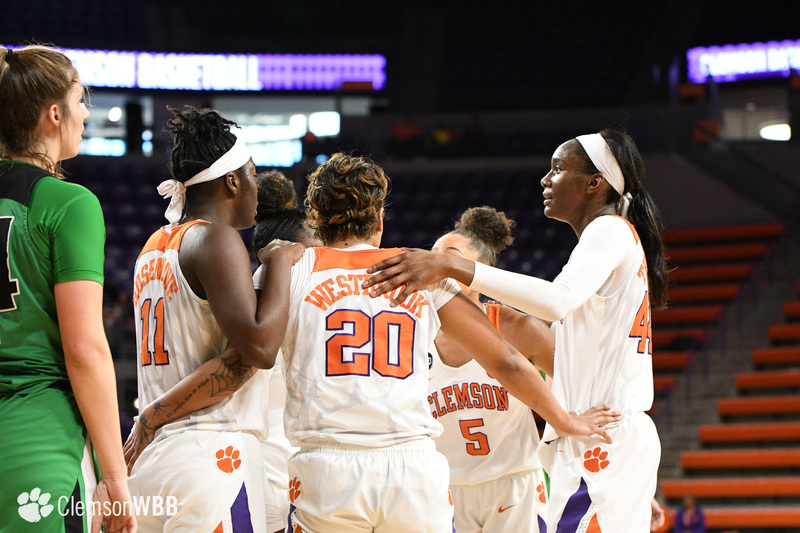 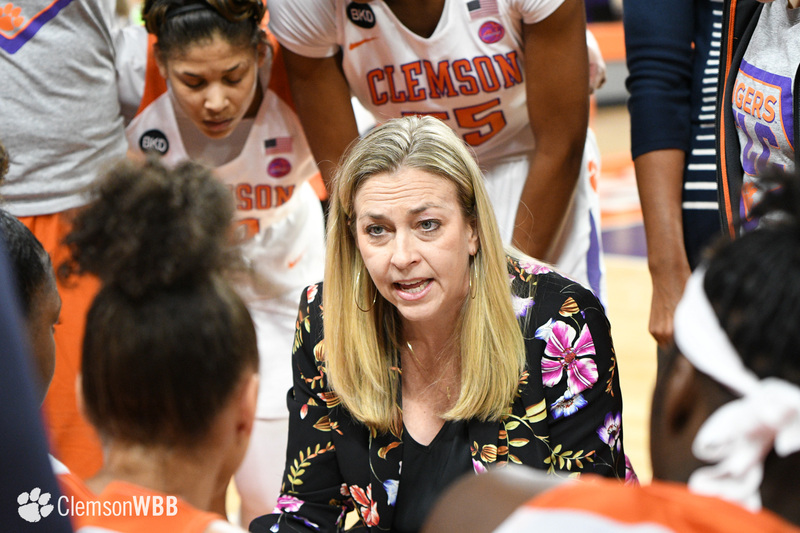 With one non-conference game remaining before they turn their attention to ACC play, the Tigers will wrap up a seven-game homestand with a matchup against the Appalachian State Mountaineers (6-4) on Friday, Dec. 21. 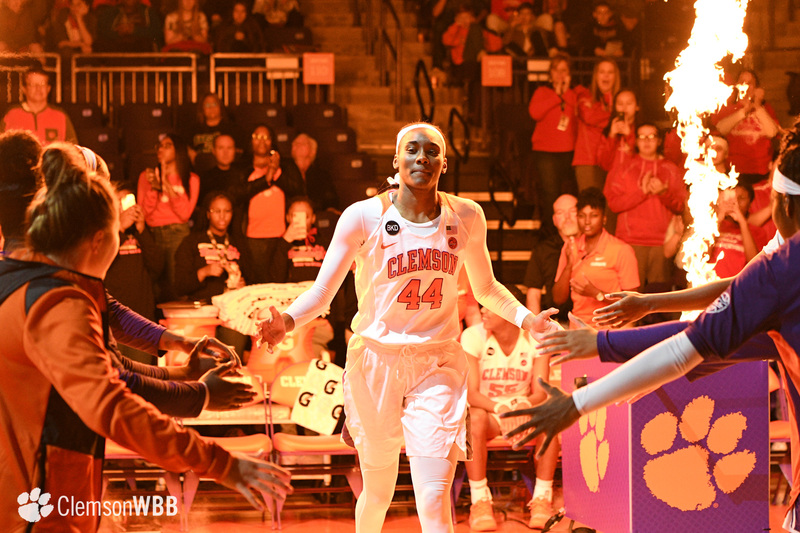 The opening tip at Littlejohn is scheduled for 7 p.m. and the game will be aired on ACC Network Extra.